Website for a gift wrapping service in Germany. The main h1 and h2 elements should be wrapped in a hgroup rather than a header. Good use of an aside to enclose the content on the right. The site also has a canvas element which seems to just display an image (it doesn’t work in Firefox) which is unncessary use of this element. The lang attribute in the html element should be set to de rather than en as the site’s language is German. Also that script and link stylesheet elements no longer require the type attribute. Come on … are you serious? 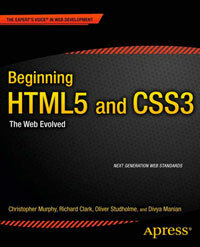 Using HTML5 does not make your website cool – this one’s crap! The design of a site is irrelevant. @Mary, visual design is subjective though. This gallery focuses on the markup not the design.